The University of Chicago Press has made sample pages available online for its forthcoming Doodling for Academics book. ‘Twas the night before grant deadline, 7:15. Many creatures were stirring, thanks to caffeine. In hopes someone might fund my first R01. I wrote like a showman. My prose was terrific. My font was New Roman. My aims were specific. I even nailed my budget justification. Each at the end of a well-crafted sentence. And I dreamed of the day when I’d hear the pay line. 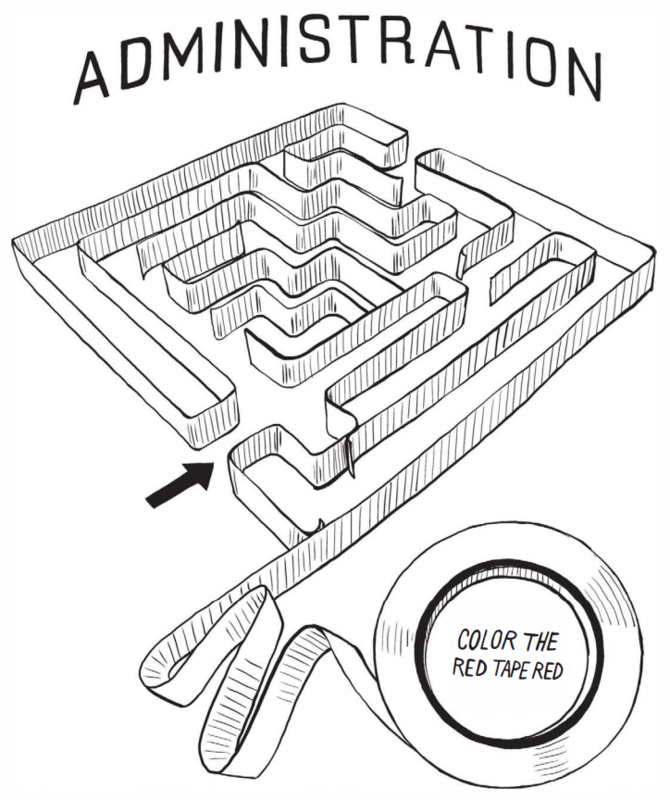 This would have to influence my tenure committee. The time and the effort I’d spent really showed. Now the grant was complete; it was time to upload. But the tiniest typo in my research plan? Then more and more errors came as I read through! And I knew it would never survive peer review. “Sweet merciful Darwin!” I cried to the heavens. My spacing was shrunk and my margins too wide! My titles and headings were right-justified! Had been converted from portrait to landscape! What fate had befallen my grant so idyllic? The tables were merged—and is that Cyrillic? So many errors! Oh, how could this be? The objects and worksheets that now were embedded. “But it’s science!” I screamed, my heart pitter-patting. “Why must I spend all my time on formatting? That I ran to the door—and then he walked in. “Cease your worry!” said he, in his bold way of talking. 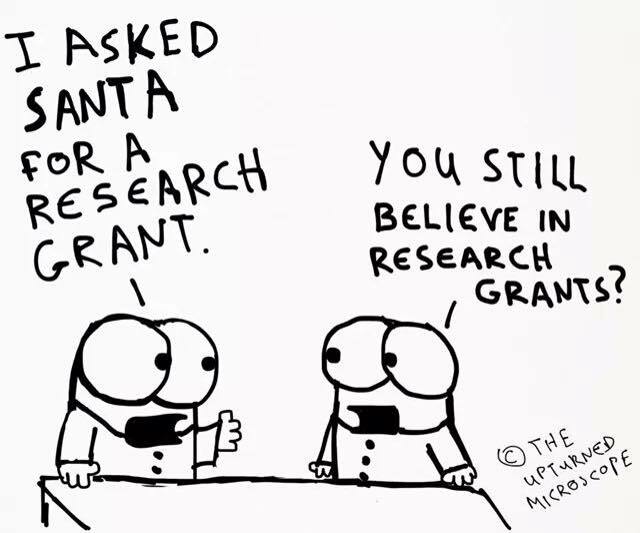 “All good scientists get a grant in their stocking. You’ve done all the research that one could deem prudent. And I knew right away he was Neil deGrasse Tyson. He was dressed in a blazer; his elbows were patched. And, like most astronomers, none of it matched. His mustache, so bushy! His loafers, how dirty! His visage, so kind, and his necktie, how nerdy! “Oh please, Dr. Tyson!” I then interrupted. “The grant is due soon, and my file’s corrupted! He placed in my hand a USB drive. The files it held were my own grant, but better! He even provided a new cover letter! “Now funding! Now finance! Now tech transfer offers! On private foundations! On government coffers! “Oh, thank you!” I yelled, “for each PDF’d page! My lab techs will cheer at their new living wage! On supplies and equipment we’ll run up a tab. The last-author papers I’d publish in Science. Funding is fleeting and tenure elusive. In science, we struggle for basic support. I guess we’re less vital than, say, a sport. Then flew off to help with an SBIR.